Complete Video Tutorials in Step by Step for Creation of a New Company in Tally.ERP 9 Accounting Software. Overview Ideas on Masters Setup in Tally.ERP 9 Accounting Software with Audio effect. "Transactions" of Tally.ERP 9 Accounting Software with Step by Step Audio effect. "Purchases & Sales Cycles " in Tally.ERP 9 Accounting Software with Step by Step Audio Video effects . "Advanced Reports" in Tally.ERP 9 Accounting Software with Step by Step Audio Video effects . "Cost Centers" in Tally.ERP 9 Accounting Software with Step by Step Audio Video effects.
" Budgeting and Variances" in Tally.ERP 9 Accounting Software with Step by Step Audio Video effects . "Price Levels & Price Lists" in Tally.ERP 9 Accounting Software with Step by Step Audio Video effects. "Job Costing" in Tally.ERP 9 Accounting Software with Step by Step Audio Video effects . of "Point of Sale (POS) Ivoicing" in Tally.ERP 9 Accounting Software with Step by Step Audio Video effects . Self-Running Tutorial of "Auto Backup" in Tally.ERP 9 Accounting Software with Step by Step Audio effects . Self-Running Tutorial of "Indian Rupee Symbol" in Tally.ERP 9 Accounting Software with Step by Step Audio effects . Self-Running Tutorial of "Income Tax Computation" in Tally.ERP 9 Accounting Software with Step by Step Audio effects . Self-Running Tutorial on "Job Work" in Tally.ERP 9 Accounting Software in Step by Step with Audio effects . 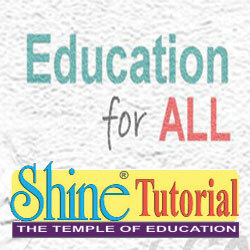 Self-Running Tutorial on "Logo Printing" in Tally.ERP 9 Accounting Software in Step by Step with Audio effects . Self-Running Tutorial on "Bill Of Material (BOM)" in Tally.ERP 9 Accounting Software in Step by Step with Audio effects . Self-Running Tutorial on "TallyShop" in Tally.ERP 9 Accounting Software in Step by Step with Audio effects .